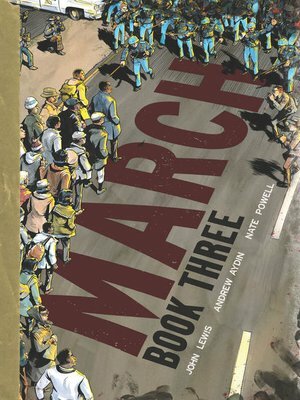 By Fall 1963, the Civil Rights Movement is an undeniable keystone of the national conversation, and as chair of the Student Nonviolent Coordinating Committee, John Lewis is right in the thick of it. With the stakes continuing to rise, white supremacists intensify their opposition through government obstruction and civilian terrorist attacks, a supportive president is assassinated, and African-Americans across the South are still blatantly prohibited from voting. To carry out their nonviolent revolution, Lewis and an army of young activists launch a series of innovative projects, including the Freedom Vote, Mississippi Freedom Summer, and a pitched battle for the soul of the Democratic Party waged live on national television. But strategic disputes are deepening within the movement, even as 25-year-old John Lewis heads to Alabama to risk everything in a historic showdown that will shock the world. Read a sample.